Fabric posters – microBEnet: the microbiology of the Built Environment network. Last month a group of us attended the General Meeting for the American Society for Microbiology that was held in Boston. I am finally writing up some highlights of ASM 2014, starting with how much I enjoyed having a fabric poster. 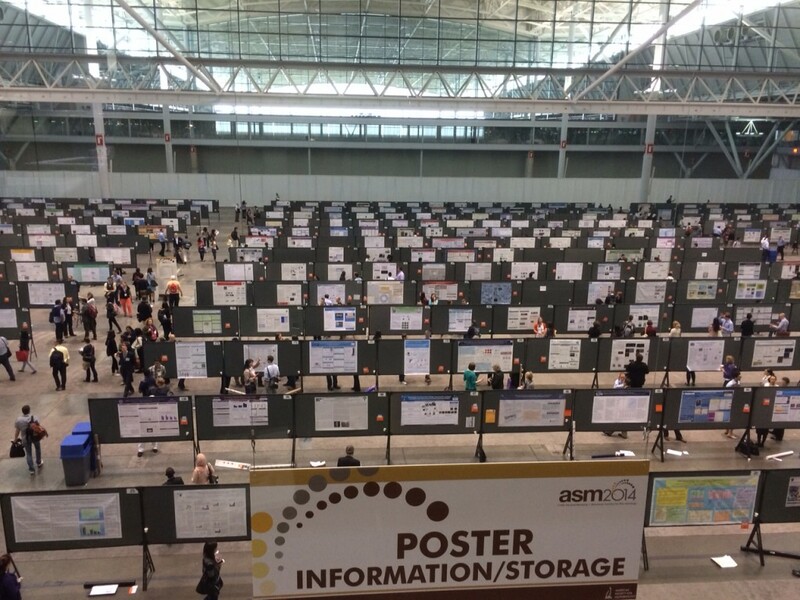 As usual for ASM, all posters were presented in a very large hall in the convention center. The ASM poster sessions are really impressive. I was inspired to make a fabric poster after reading this blog post by Jessica Polka. This was my first time using fabric and it was a resounding success. I enjoyed wearing my poster as a scarf. In addition, among his many excellent suggestions for how to give a poster presentation, Colin Purrington suggests that fabric posters also make excellent capes. He says that you may lose a little respectability but adds that some of you never had it anyway. 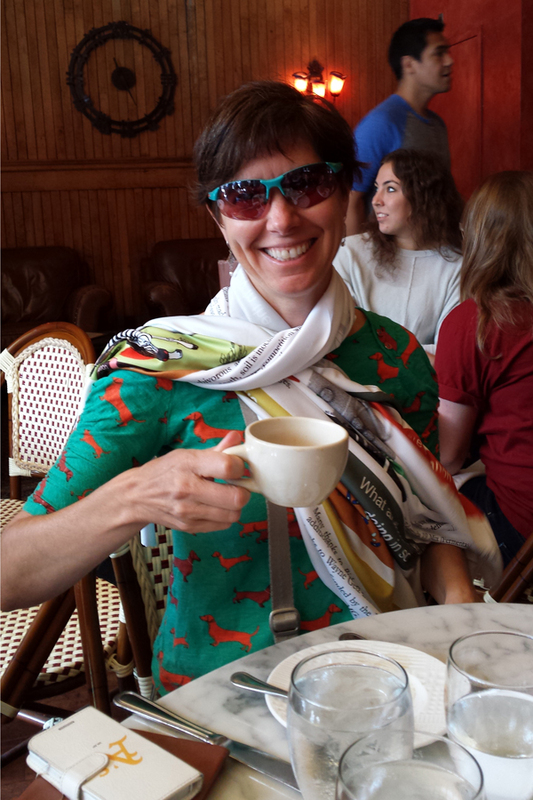 After seeing all the beautiful posters at the Sloan Meeting in Boulder last week, I thought that I should share my experience. That way more of us can enjoy the packing ease, beautiful colors and added fashion potential next time around. For more information, I’ve written my experience up in more detail here. I absolutely love everything. I highly recommend this company!